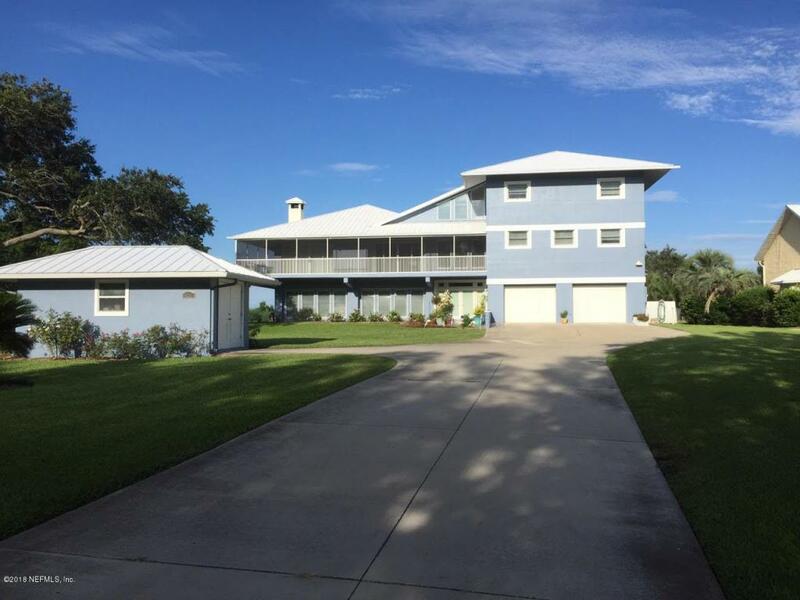 View the video & prepare to be wowed as you are welcomed to the North Beach lifestyle! This home was designed by the owners to be open, spacious & to capture the million dollar views offered by the location. 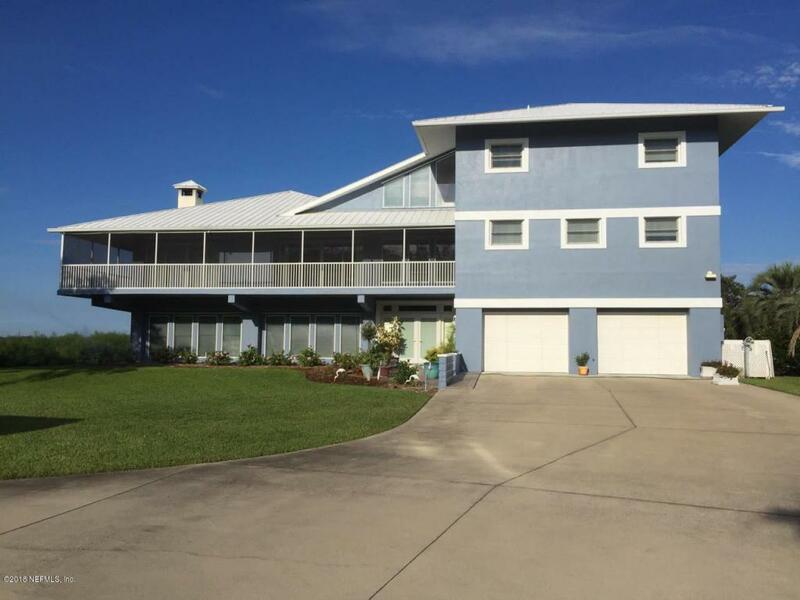 With 120' of waterfront, this boater's paradise has a new dock & bulkhead & 2 boat lifts (38,000# & 6000#.) 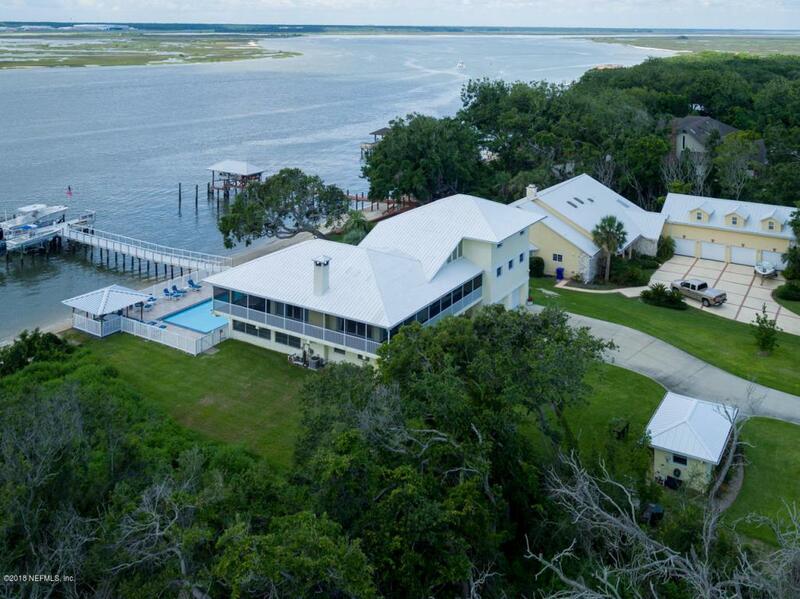 Where else can you walk to the beach, cruise the Intracoastal or have your boat in the ocean in minutes? The home, complete with an elevator, is primarily concrete with an open floor plan that is perfect for entertaining or just taking in the breathtaking vistas. 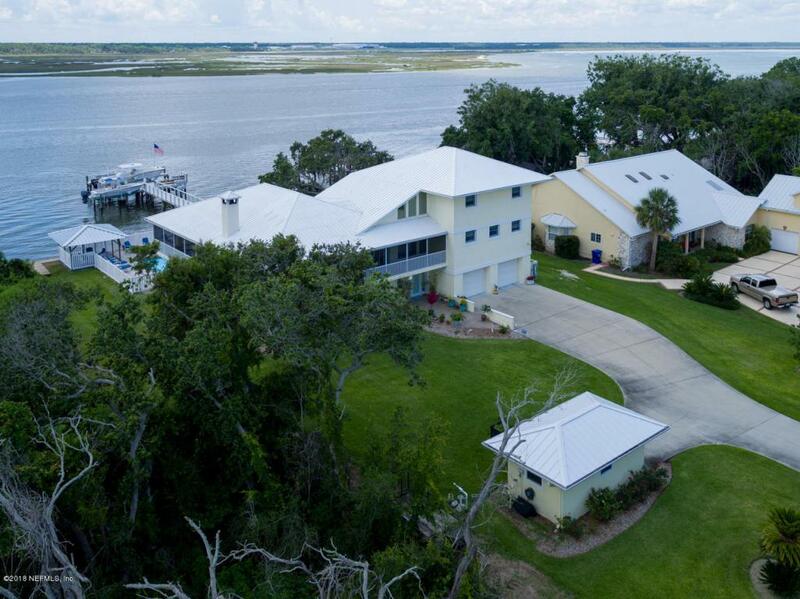 The home is wrapped in porches that are perfect for relaxing & watching river traffic. You can walk to great restaurants or take a short drive to St. Augustine for fine dining and historic sites. HOME HAS BEEN PAINTED.